Want accuracy every time with your chemical packaging? The BUDPAK Automatic Valve Packing Machine uses load cells and a weight controller to ensure accuracy every time. Able to package most products into valve bags, no matter the consistency, BUDPAK is a completely self-contained bagging machine. The BUDPAK valve bagger is a totally self-contained bagging system. 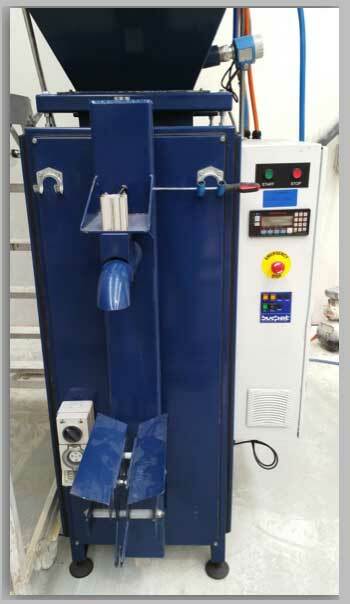 The machine is suitable for packing most types of products including dry, granular, lumpy, crushed or powdered products into valve bags. Screw conveyor fed, this packing machine works based on digital weighing technology and pneumatic control. 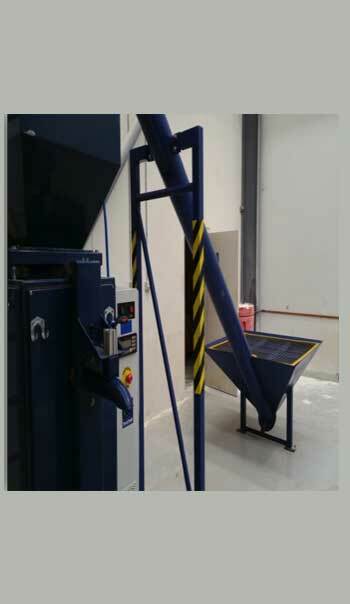 The bag spout is fully suspended on precision load cells and dedicated weight controller which ensures that accuracy is achieved every time. Together they produce reliable and accurate packing solutions. Want to know more about this product? Feel free to call 1300 708 558 so we can find the right equipment to suit your chemical packaging, blending, crushing, manufacturing or testing needs.